It’s difficult to function when you aren’t in good health, so it’s worth your efforts to try and figure out what it is you need to do to improve your wellbeing. You’ll find you’re a lot more optimistic and have a desire to live life to the fullest when you pay more attention to your needs, both mentally and physically. The good news is that it’s possible to enhance your mental and physical being with a little extra effort on your part. Now is a good time to put away the excuses for why you can’t make progress in this area and to begin to actually do the work and take action to prove yourself wrong. How can you do this, though, successfully? Read on the find out more. Firstly, start by thinking about what you’re doing daily that’s affecting your wellbeing and then start setting goals to help you improve your health. It’s worth your time to write down specific objectives and details about how you’re going to go about meeting each one. However, your goals become more real when you record them on paper, and you review them daily. For example, if you’ve always wanted to lose weight then commit to hitting the gym at least three to five times a week. Track your progress and check in with how you’re doing along the way to help you succeed. Bottling up your emotions and acting like your life is perfect all the time isn’t going to do you any favors. Improve your health and wellbeing by proactively talking through your problems with people you trust. Find a friend, family member or therapist whose opinion you value and open up to them about what’s been happening in your life. You’ll feel a lot better and like a weight has been lifted off your shoulders after doing so. There’s nothing wrong with being vulnerable, and in fact, it’s a healthy way to live and comes with a lot of benefits. Believe it or not, your home has an impact on your overall health and wellbeing too. A messy, dark and congested space can increase your stress levels and make you feel gloomier overall. Take the time to declutter and decorate your home to create a better living environment for you and your loved ones. One idea that will help boost your spirits is to go online to view here different plants that you should consider bringing into your space. It’ll brighten up your home and consistently lift your mood when you bring more nature into your home. If you’re not getting enough exercise on a regular basis then now is the time to make a few changes to your agenda. It’s important to set aside time for workouts that are going to get your heart rate up and cause you to break a sweat. Join a gym near work or your home, sign up to run a race or go for long walks after work instead of turning on the television. Exercising more often is a great way to lift your mood, shed unwanted pounds and will provide you with more natural energy for getting through your day. Purchase some new workout clothes to help motivate you to get started and then begin to tackle your fitness goals slowly over time. You might also be interested in finding a gym or fitness club to join (for example, somewhere like http://sbac.swellclubs.com/) so you can join classes that can promote your healthy lifestyle. What you’re eating is influencing the way you feel on a daily basis and definitely correlates with your overall health. One idea is to start cooking for yourself at home more often and creating your own nutritious dishes and meals to eat. It’ll take some getting used to, but you may find that you truly enjoy the art of cooking and that it’s relaxing. Make it easier on yourself by going to the grocery store on the weekends, freezing meals and purchasing and using a slow cooker during the week when you’re busy. Food can not only make you feel more sluggish and drained, but it can also increase or decrease your anxiety levels too. If you are interested in find food that could help you live a healthier lifestyle you might be interested in checking out somewhere like thewestonbiltongcompany.co.uk to find out more information. Your job may be the main reason why your health has been suffering lately, so you shouldn’t delay making a change if this is the case. A dead-end job can steal your joy and make you feel fairly miserable most days. It’s worth your efforts to spend time researching and seeking out a job you love that makes you feel motivated to get out of bed each day. Your health and wellbeing will improve when you’re being challenged in your position and enjoy the people who you’re working alongside. You’ll thank yourself down the road when you’re on a promising career path that’s rewarding and puts a smile on your face. Focusing on what you don’t have or the negative aspects of your life can take a real toll on your wellbeing and mental health. Instead, use your energy to practice gratitude and review what it is you’re thankful for regularly. Make a list and go over it before you start your day to help get yourself in the right frame of mind for tackling your responsibilities. Try to train your brain to look on the bright side and stay hopeful when faced with adversity. 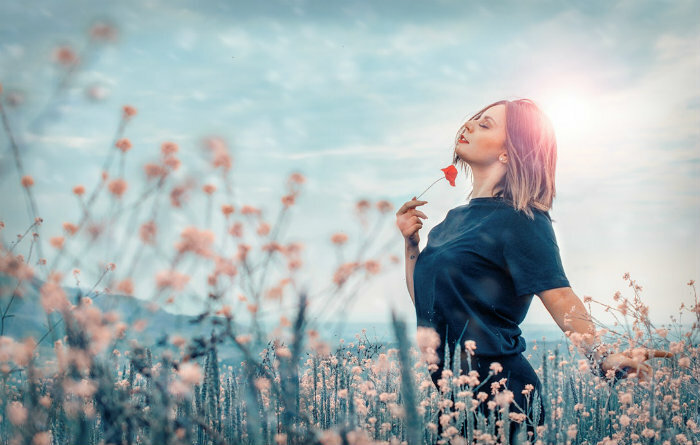 Improve your health and wellbeing when you appreciate the little miracles happening around you each day and remain focused on what truly matters in life. It’s important to connect with others and build long-lasting relationships if you want to feel more content in general. Work on nurturing these bonds by spending quality time together and sharing intimate details about your lives with each other. You can’t expect always to be taking from someone without giving back so be mindful of your actions and words when interacting with those you care about. It’s nice and comforting to have someone you can turn to when you’re in need of a shoulder to cry on. You’ll be able to quickly improve your health and wellbeing when you have people who you can depend on to be there for you through thick and thin. 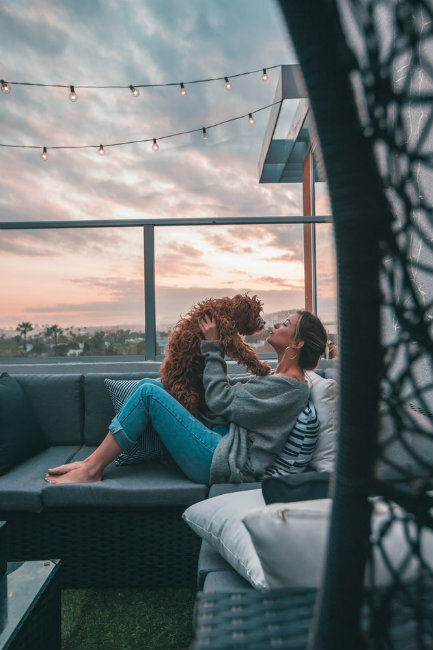 Pets have a way of cheering you up when you’re down and providing you with the additional responsibility that’s a healthy type of challenge for you to take on. Get a pet, and you’ll likely find that you’re simply happier overall and look forward to each new day with your furry friend. Also, dogs are great because you can take them out on hikes or walks to help ensure you fit in your daily exercise. Pets are fun to play with and always lighten the mood when they’re present in the room. It’s especially nice to have a pet around the house if you live alone or want to teach your kids about how to care for and nurture an animal. You’re going to feel quite overwhelmed and anxious if you aren’t good about managing your stress consistently. It’s critical you do so if you want to improve your health and wellbeing and not overexert yourself. Find and participate in relaxing activities that teach you how to slow racing thoughts such as meditation or yoga. Too much stress can be dangerous and have a negative impact on your life and your ability to function both at home and in the workplace. Take notice of the warning signs and cut back your obligations and reduce the number of commitments you’re making when they’re present. You risk falling into a bad place if you ignore it for too long and pretend like all is okay when it’s not. You can also improve your health and wellbeing by doing a good job of taking care of yourself. Put you at the top of your to-do list, so you’re continuously meeting your needs and not allowing your self-care rituals to fall by the wayside. Make it a point to get enough sleep each night, workout daily, eat right and set aside time for relaxing activities. It’s in your control to make wise decisions such as hitting the gym instead of attending happy hour every night after work. You have to learn how to say no to others and put yourself first if you want to feel your best and not let your health slide. Ask for help when you need it, so you’re able to schedule more time for you and then don’t allow yourself to feel guilty about it. No longer do you have to live your life feeling like you’re dragging yourself around and just trying to survive. Implement these tips to help you improve your health and wellbeing and get yourself to a better place starting today. You can do it if you make yourself a priority and stop coming up with reasons why you can’t progress in a forward direction. Try not to let your past keep you from creating a brighter future for yourself so that you can truly live your life to the fullest and enjoy your days. These are really good tips. I find it’s especially important to learn to deal with your stress. Stress will really get you if you can’t find a way to cope with it. Great tips. I really need to adhere to some of these tips. Currently 35 and 5 months pregnant plus already a single mom…I feel an immense amount of stress.